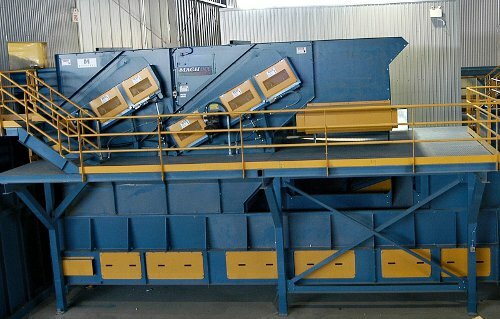 Corrugated Cardboard Sorting Systems ( OCC Sorting ), OCC Sorting Solutions, OCC Screen | B E Equipment, Inc.
Do you need to efficiently sort Corrugated Cardboard? Looking for a OCC Separating Solution? BE Equipment offers flexible technology, custom fit corrugate cardboard sorting solutions, which are always custom-engineered to maximize output based on your specific needs. Mechanical Separators drive down labor costs for higher profits. If you have a Material Recovery Facility, we have a separator to fit your plant and budget that is custom-designed to meet your separation requirements. Expand your customer base and slash labor costs by processing profitable volumes of corrugated cardboard with the MACH OCC Screen. Sort OCC at up to 35 tons/hr and watch productivity and profits soar. The MACH OCC Sorting Solutions can be configured to meet or exceed the material output needs of your MRF. The MACH OCC features split disc design for maximum sorting and output. The MACH OCC Screen can be used alone or in combination with any other Machinex Sorting Solution. Anyway you look at it, the MACH OCC provides your MRF with the competitive edge on productivity.